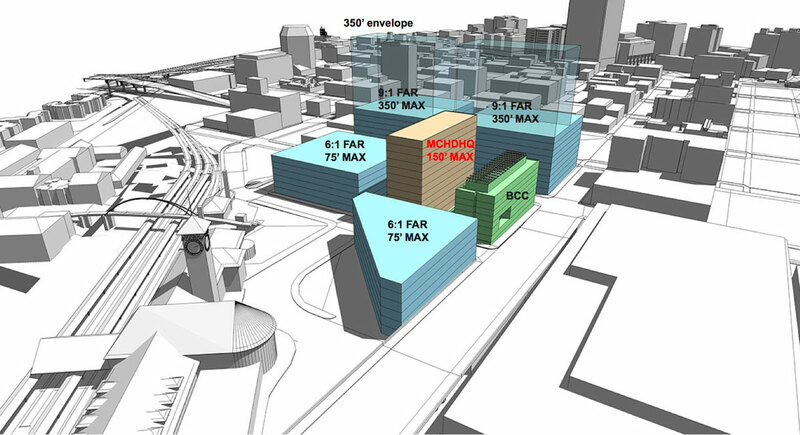 Part of the justification for the proposed height increase is that the blocks immediately to the south of Block U have a 350′ maximum height, and could be redeveloped in the future under the existing zoning. A 150′ tall building would be a step down from this development potential. A draft report [PDF] recommends approving the zoning change, which will increase the allowable base height to 105′, with an additional 45′ achievable through bonuses. 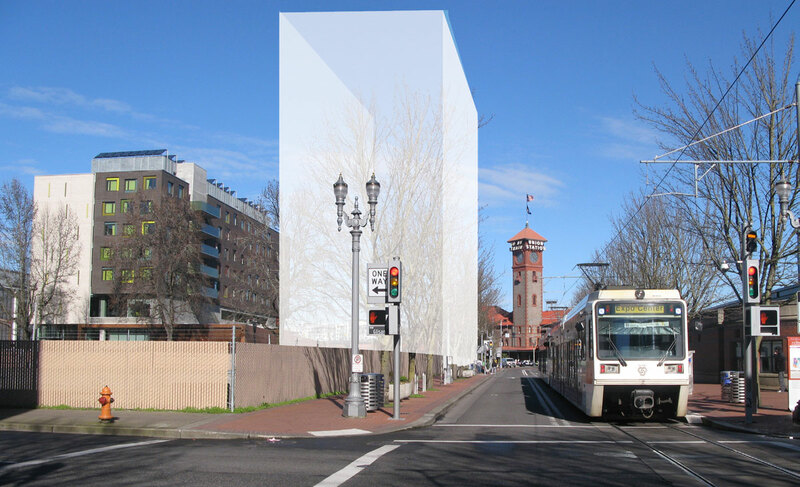 The Planning and Sustainability Commission will hold a public hearing on the proposed change for the Multnomah County Health Department Headquarters building on Tuesday, April 28, 2015 at 3 p.m. A City Council hearing is expected in June 2015. If you move that StreetView image back to where the first rendering is from, you see that at least in summer, the street trees on 6th entirely block the views of the new building. You can see the trees “through” the mockup of the new building. I know this may not be true from all angles, but at least from the aspect of looking down NW 6th, the trees dominate.